Credit card surcharging is very complex, as the rules cross multiple card brands and terms of acceptance. Here’s an updated review of who can surcharge, what card types, and checklist of how to roll out credit card surcharge at your company. The answers are targeted for business to business merchants, my area of expertise. Surcharge is any fee charged by a merchant for the use of a card. Product level – Surcharge must be the same for all specific Product, for example, signature rewards cards or commercial cards, regardless of issuer or card brand. The Surcharge amount must be submitted separately (in the defined surcharge field) from the Transaction amount in the authorization and clearing message. The receipt must list the surcharge amount separately. If the original transaction has a partial or full refund, the surcharge amount must all be refunded proportionally. Surcharge on debit or prepaid cards is prohibited for all merchants.To ensure compliance use a payment gateway that can identify the card brand and type of card to allow surcharges only on eligible cards. The fee must be relative to their average cost of card acceptance. In short, surcharging is allowed to cover costs, not to make a profit. Let’s face it, based on the rules above, to simplify implementation, merchants will surcharge at the brand level because they lack the technology to discern between product types on a per transaction basis. Taking all that into account what can you surcharge? Click here https://3dmerchant.com/resources/rate-calculator/index.htm to calculate your discount rate below with data from your merchant statement. If your American Express fees are on a separate Amex statement (most are), enter sales in the Amex box so they are deducted from total. See this article with free too for calculating your average merchant discount or effective rate. 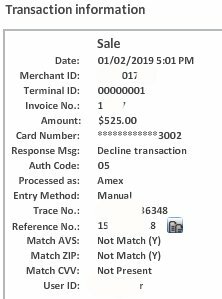 Notify card brands (Visa etc) in writing at least 30 calendar days before assessing a US Credit Card Surcharge; must state whether will surcharge at the brand level or product level. For card not present orders, disclose verbally if telephone; for online orders minimum 10-point Arial font, but in any case no smaller or less prominent than surrounding text. Receipt must be delivered with the surcharge as a separate line item. Where are merchants prohibited from surcharging? Ten states—California, Colorado, Connecticut, Florida, Kansas, Maine, Massachusetts, New York, Oklahoma and Texas—and Puerto Rico have laws that prohibit merchants from charging consumers with surcharges on credit card transactions. The legislative intent in many of these states was to protect consumers, and not to restrict B2B surcharging. You may want to consult an attorney. Because there are ongoing statute updates as well as legal challenges, this article makes no attempt to pinpoint whether a B2B company can surcharge in these states. For more information, see Surcharge law resources under Merchant Alerts & Rules Links or contact your acquirer for accurate and current information specific to your situation. Does your company want to surcharge? Call Christine Speedy right now at 954-942-0483, 9-5 ET for a compliant solution. Please share your surcharge insights for others and ask any questions below. The information herein is based upon public information available at the time written and may change. What is Commercial Card Interchange Service? Is it good or bad? First Data Commercial Card Interchange Service to reduce fees for some merchants automatically. The Commercial Card Interchange Service June 2017 merchant statement message to First Data Merchant Services, and Independent merchant service provider customers using the First Data credit card processing platform, is bound to raise questions. Essentially, the service automates sending additional data required to qualify some card types for lower rates. Skip to the bottom to see the impact if you already have the message details. “Merchants using cloud-based payment processing solutions with interchange optimization, including level 3 processing, will continue to retain 100% of interchange savings”, says Christine Speedy, business to business payments expert. CCIS applies your local tax rate to the full amount of transactions when the prompt is bypassed. This service will begin on August 1, 2017. You may see savings beginning with your August statement. More detail about this new benefit can be found on the last page of this statement. Please call the customer service number on the statement if you do not want us to perform this service. Otherwise, continuing your merchant account with us or use of your merchant account after 30 days will represent your acceptance of these terms. If you have any questions, please contact customer service at the number on your statement. Why am I eligible for a lower interchange on some Commercial Card Transactions? Some card networks require additional information beyond the total sales amount to qualify the Commercial Card transaction for a lower interchange rate. This information includes sales tax amount, which if provided reduces your interchange cost. How does the service work? First Data will compute and submit the required sales tax to the Card networks on your behalf for applicable Commercial Card Transactions when not supplied in your submission. This additional data allows these transactions to qualify for a lower interchange rate that reduces your interchange cost. Why is First Data offering this service? At First Data we are always working to bring you the broadest and most innovative range of payment options to grow your business and maximize your revenue. This is a new service that was developed to help merchant minimize interchange costs. What is the cost of this service? There is no incremental cost for this service. Ignite payments shares in the savings it helps your company to achieve on qualifying transactions. How can I see how much I have saved? The savings will be shown on each month’s statement. The adjustment to your account for this service wills appear in the Service Charge section of your processing statement. It will appear as “MC COMMERCIAL CARD IC SAVINGS ADJ” for applicable MasterCard Transactions and “VISA COMMERCIAL CRD IC SAVINGS ADJ” for applicable Visa transactions. The detail as in the example shown below will include: the total interchange savings; the portion of the interchange savings that will be retained by you; and the portion that we will retain. Total savings of $140.93 was achieved on the eligible MasterCard Commercial Card transactions. You will recieve 50% of this savings, which is $70.47 and we will retain 50% (noted as the .50 DISC RATE). Are there any setup fees that will be billed to my account to activate this service? No setup fees will be billed to your account upon activation of this service. Will my business need to make any changes to utilize this service? No, First Data will perform this service completely during the interchange qualification and submission process to the card networks. Will this service be performed on all Commercial Card transactions? This service will only be performed when a lower cost interchange qualification can be achieved on applicable Commercial Card transaction for which your business did not submit the required sales tax amount and did not identify as tax exempt. Can my business request this interchange savings service be cancelled? Yes. This service can be cancelled upon request by the individual within your organization authorized to make accounts changes. If you prefer to opt out of this savings opportunity, please contact customer service at the number on your statement. Who can I contact with additional questions? Please contact customer service at the number on your statements.” End statement message. Is CCIS good or bad for merchants? Saving 50% automatically is good. Giving away 50% of the savings is bad, but might be the only option for some merchants due to business size, technology or other circumstance. CCIS does not ensure the lowest commercial card rates, only another possible level of savings. For B2B merchants especially, there are multiple ways to reduce fees with technology, including for card not present transactions. How can I qualify for the lowest commercial card rates and keep 100% of the related savings? A cloud-based payment gateway is required. Desktop terminals are incapable of sending all the data required. Use a payment gateway that supports level 3 processing and will automate interchange optimization. More than just submitting sales tax, there are other rules that must be met to qualify for the best rates. Contact Christine Speedy for the best payment gateway analysis for your business needs, compatible with your existing merchant account and other software needs.